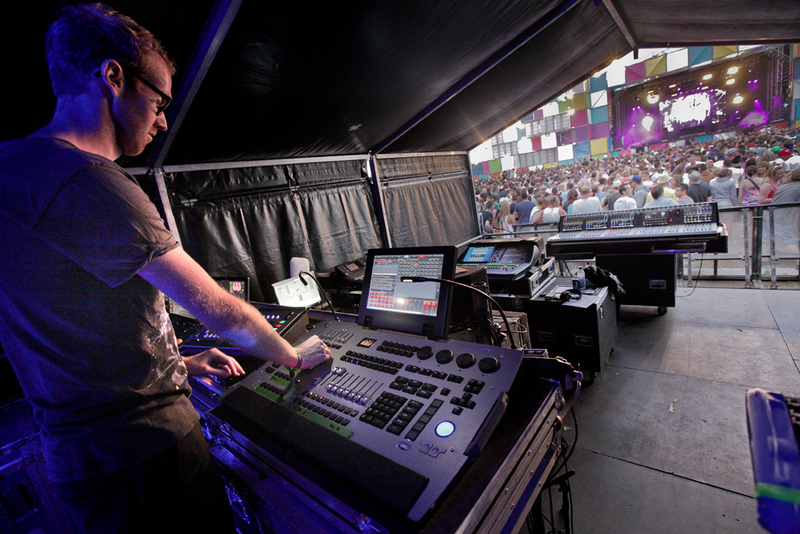 Martin Professional’s M1 lighting controller was used to control a large moving head rig on the main stage at the 2012 Global Gathering festival at England’s Long Marston Airfield in late July. Electric Fly Productions designed the main stage lighting and were festival lighting/video designers while design firm 250K actualized the main stage set design. Festival lighting operator André Beekmans of The Art of Light used the Martin console on Friday for top acts such as headliner Afrojack, for which André is also the LD, while Nick Jevons of Electric Fly Productions handled the lighting programming and operation for Saturday’s performances. The Martin M1 used at Global Gathering was provided by Electric Fly Productions as were two Martin Maxedia media servers that were used on site. The M1’s growing popularity stems from a design based on simplicity combined with a fast dual-core processor that ensures an extremely responsive user interface. The easy-to-use concept and portable package has struck a chord with lighting programmers and designers across the globe. A slew of Martin lighting and video gear was used across the festival including creative Martin LED video screens in the form of the EC and LC Series. A Martin Maxedia system ran the video with operation by Dave Stewart. Lighting and video supply for the festival’s main stage and five tented arenas was by leading UK lighting and visuals rental company HSL. Nick Jevons and Phil Winward of Electric Fly Productions were the complete site LDs, working closely with their lighting crew chief Mark Callaghan.